Corn soluble fiber is a prebiotic fiber that is well-tolerated and has a low glycemic response. It has excellent process and acid stability, and dissolves clear in applications. It helps to relieve occasional constipation, help retain healthy serum triglyceride levels and reduce blood cholesterol level, thus lowering the risk of heart disease. It also reduces peak postprandial blood glucose and insulin levels that are within the normal range in healthy individuals. 1. A Heart Protector: Is a fantastic source of both soluble and insoluble fiber. The soluble fiber binds with cholesterol in bile from the liver. It then passes from the body taking the cholesterol with it. Corn is also rich in folate, a B vitamin, which helps to lower levels of homocysteine, an amino acid that is a by product in an important metabolic process (called the methylation cycle). High levels of homocysteine can damage blood vessels leading to a heart attack, stroke, or peripheral vascular disease. A cup of corn can provide 19 percent of the daily recommended value for folate. 2. A Cancer fighter: contains beta-cryptoxanthin, a carotenoid with antioxidant properties that can be associated with reduced risk of lung cancer. As part of the study published in Cancer Epidemiology, over 63,000 adults in Shanghai, China, were followed for 8 years and their dietary and lifestyle data was collected and reviewed. Those eating the most crytpoxanthin-rich foods showed a 27 percent reduction in lung cancer risk. Other foods rich in crytpoxanthin include papaya, pumpkin, oranges, red bell peppers and peaches. The fiber in corn also keeps the digestive system healthy thus lowering the risk of colon cancer. 3. 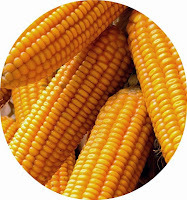 Prevents Anaemia: The vitamin B12 and folic acid present in corn prevent anaemia caused by the deficiency of iron. 4. Brain Food: Is a good source of thiamine (vitamin B1) which is part of the process of converting food to energy in the body and a major player in the functions of the brain cells to perform cognitive duties. Synthesis of acetylcholine - a neurotransmitter essential for memory - requires thiamin. Lack of thiamin has been found to be a significant contributing factor in age-related impairment in mental function and Alzheimer's disease. 6. Good for the eyes: Contains beta carotene and folate which can retard age related macular degeneration, is a good source of vitamin A, which can retard age related macular degeneration. The researchers have found that the beta-carotene in the corn was converted to vitamin A at a rate higher than the rate for beta-carotene in other vegetables like spinach and carrots. 7. Good for Diabetics: Provides just the right mix of minerals and vitamins to help make sure that the person's insulin stays in a healthy range. Malt is a sweet powder made from barley (this is the most commonly used grain because of its high enzyme content) that has been germinated by soaking in water and are then quickly halted from germinating further by drying/heating with hot air. 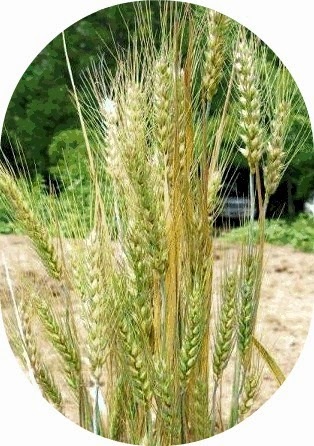 Malt extracts are of a high nutritional value, with notable amounts of several of the vitamin B complexes and minerals. Malt extract is an extremely attractive substitute for refined sugar because in addition to sweetness and energy, it delivers naturally derived nutrition in a particularly suitable form for human consumption. Protein is present in a predigested form. Malt extracts contain a wide range of amino acids due to conversion during extraction and so is readily absorbed into the body's bloodstream. Helps individuals recovering from sickness because it is easy to digest. Good for children as a “blood-fortifying tonic” because of its high iron content. Oats, known scientifically as Avena sativa, are a hardy cereal grain able to withstand poor soil conditions in which other crops are unable to thrive. Oats part of their distinctive flavor from the roasting process that they undergo after being harvested and cleaned. 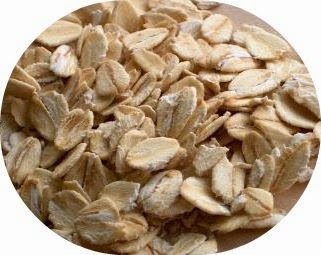 Although oats are then hulled, this process does not strip away their bran and germ allowing them to retain a concentrated source of their fiber and nutrients. The benefits of Oat fibre can lower cholesterol; helps prevent heart disease, stabilize blood sugar and enhance immune response to infection. 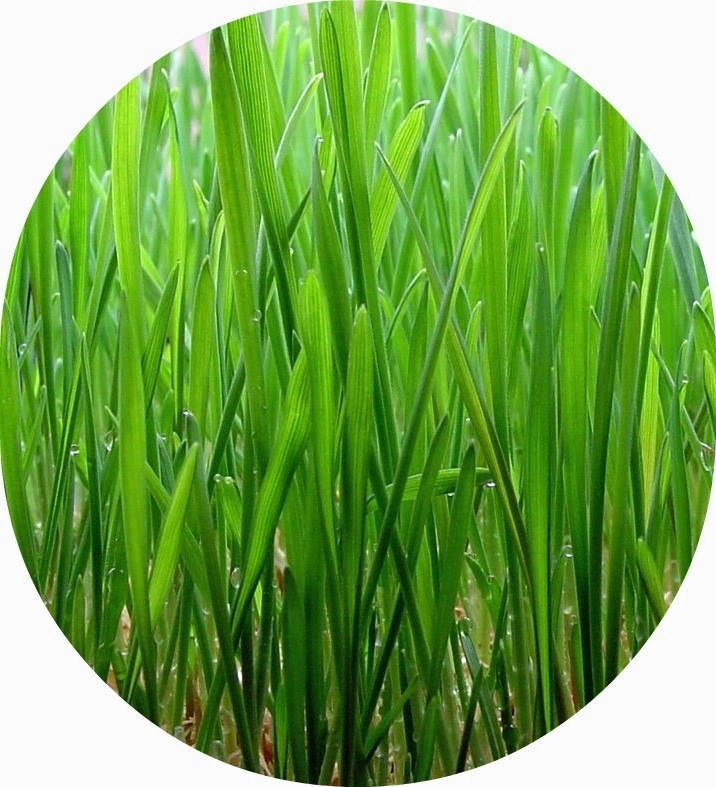 Barley grass is a type of grain plant that has been used not only in preparation of a number of foods; it is also used in traditional medical practices for controlling several health issues. 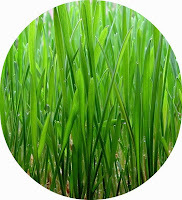 Barley grass is a concentrated nutritious whole food that is able to provide balanced nutrition to the body. It contains eight essential amino acids that we must get from our diets. Hence, it can promote cell metabolism and neutralize substances that are bad for our health. Besides, it contains high amounts of antioxidants, enzymes, carotenoids, flavonoids, vitamins (B1, B2, B6, B12, C, folic acid, and pantothenic acid) and minerals (calcium, iron, copper, magnesium, manganese, phosphorus, potassium and zinc). Antioxidant helps to reduce the amount of free radicals, hence preventing the growth of cancer cells. 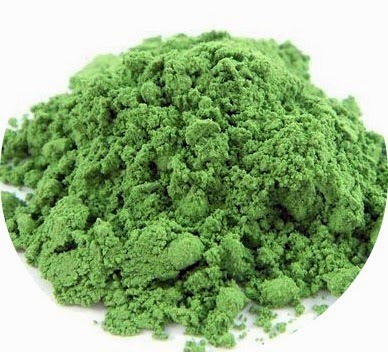 Moreover, it is also rich in chlorophyll which is similar in structure to blood hemoglobin, and thus it helps to rebuild the blood and enhance body immune system. Furthermore, it also helps to reduce blood cholesterol and sugar levels. It helps in cell DNA repair. Acts as a free radical scavenger, reducing the amount of free radicals in the blood. It helps in improving skin health. It helps to stimulate weight loss. It helps in the treatment of asthma. It helps to combat blood clots. Helps to reduce low density lipoprotein (LDL) cholesterol (the ‘bad’ cholesterol) levels. It helps to treat migraine. Spirulina is a type of blue-green algae found in most lakes and ponds. It has been consumed for thousands of years by Mexican (Aztecs, Mayans), African, and Asian peoples. Spirulina is considered a complete protein because well over half of it consists of amino acids -- the building blocks of protein. Spirulina contains most vitamins in high quantities, but are richest in vitamin A (in the form of beta-carotene), vitamin D, vitamin K, vitamin B1, vitamin B2 and vitamin B12. The health benefits of spirulina extend into many uses, most of which age medical in nature. Spirulina is largely used as an antioxidant, anti-viral agent, weight loss aid and even lipid and cholesterol lowering. Spirulina can help boost the immune system and help protect against harmful allergic reactions. Many people use Spirulina in their own self-care strategy for more energy, nutritional insurance, weight control and cleansing. Atthelets discover more endurance and strength. Seniors find better nutrient absorption. Ideal and safe for children, pregnant and nursing mothers. Spirulina is a powerful tonic for the immune system - control colds and flu, wounds heal faster, recover more quickly from illness, more energy it actually enhances the body's ability to generate new blood cells. Important parts of the immune system, bone marrow stem cells, macrophages, T-cells and natural killer cells, spleen and thymus glands - all show enhanced activity. The National Cancer Institute found sulfolipids in blue-green algae were 'remarkably active' against the AIDS virus in vitro. Spirulina contains 5-8% lipids, and 40% of these are glycolipids and sulfolipids. These compounds seem to prevent viruses from either attaching to or penetrating cells, preventing viral infection. Meanwhile, the virus can be eliminated by the body's defenses. Many people are taking dietary supplements to support a healthy heart and lower cholesterol. Benefits in mprovement in heart artery function for lower blood pressure. Spirulina will reduce serum LDL (Low Density Lipoproteins - the bad cholesterol) and raise HDL (High Density Lipoproteins - the good guys). Spirulina is a useful supplement for cardiovascular health and for lowering cholesterol. Promotes digestion and bowel function. It suppresses bad bacteria like e-coli and Candida yeast and stimulates beneficial flora like lactobacillus and bifidobacteria. Healthy flora is the foundation of good health and it increases absorption of nutrients from the foods we eat, and helps protect against infection. As people age, many who don't eat enough, have restricted diets or poor digestion may experience low energy from being undernourished. Spirulina builds healthy lactobacillus, aiding assimilation and elimination and relieving constipation. Reduce kidney toxicity caused by the heavy metal mercury and three pharmaceutical drugs. Helps to reduce allergic reactions from radiation sickness. Free radical molecules damage our body's cells. They are caused by pollution, poor diet, stress and injury. Antioxidant nutrients fight these dangerous oxidizing free radicals. They also stimulate our immune system to guard against cancer and other diseases and even slow the aging process. Major antioxidant vitamins are beta carotene (provitamin A) C, and E. Antioxidant minerals selenium, maganese, zinc, copper, iron and chromium form our bodies antioxidant enzymes. Spirulina contains all these nutrients, and exceptionally high levels of beta carotene and iron, and zinc in super spirulina. 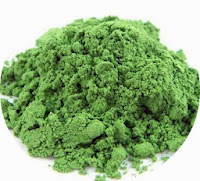 Spirulina helps protect Vitamin C from potency loss. Studies shows 1 gram a day for a year given to 5000 pre school children, significantly reduced the incidence of eye disease. One gram a day caused total regression of mouth cancer lesions in 44% of male tobacco chewers. Can a person lose weight taking spirulina? It's not an appetite suppressant. It contains no drugs that trick the body. Because it's rich in iron, often deficient in women on low calorie diets, spirulina is ideal support for any diet. Best of all, it helps us to lighten up and make the switch from a bulky diet to lighter, more powerful foods. This algae weighs in with an impressive 60% all-vegetable protein, and also contains a powerful combination of important vitamins and minerals such as iron, vitamin E, zinc, B-complex, copper, calcium, and magnesium. It is also a rich source of the antioxidant beta-carotene and the essential fatty acid gamma linolenic acid (GLA). Spirulina contains vitamin B1 (thiamine), B2 (riboflavin), B3 (nicotinamide), B6 (pyridoxine), B9 (folic acid), vitamin C, vitamin D, and vitamin E.
Because FOS is indigestible, it acts as a non-digestible fibre in the diet. This is because the body does not possess the necessary enzymes to break down the FOS as it travels down the digestive tract. When it reaches the large intestine and the colon, the bacteria that are naturally present there start to break down the FOS as the bacteria have the enzymes necessary to do so. Bifido bacteria use FOS and foods that promote the growth of the bifido bacteria are good for health. FOS increases the amount of beneficial bacteria in the lower intestine, and thus there are improvements in the digestion and absorption of nutrients, detoxification and elimination processes, and in the immune system. FOS may also help to relieve constipation and other gastrointestinal disorders including problems that are related to irritable bowel syndrome, inflammatory bowel disease, and lactose intolerance. FOS is used as a sweetening agent, flavour enhancer, bulking agent and humectant. This is because it is non-digestible and has about half the natural sweetness of sugar. When it is used as a low-calorie sucrose replacement, it can be found in cookies, cakes, breads, candies, dairy products and some drinks. 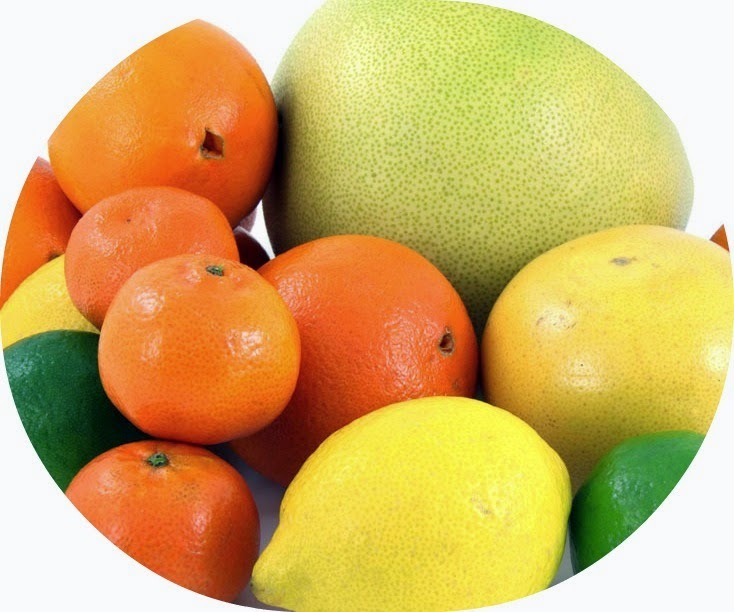 Citric acid is a weak organic acid found in citrus fruits. It is a natural preservative and is also used to add an acidic (sour) taste to foods and soft drinks. In biochemistry, it is important as an intermediate in the citric acid cycle and therefore occurs in the metabolism of almost all living things. Citric acid origin country is from USA. Citric acid also serves as an environmentally benign cleaning agent and acts as an antioxidant. Citrates make excellent buffers for controlling the pH of acidic solutions. Its contains of Vitamin C and helps to reduce cholesterol. 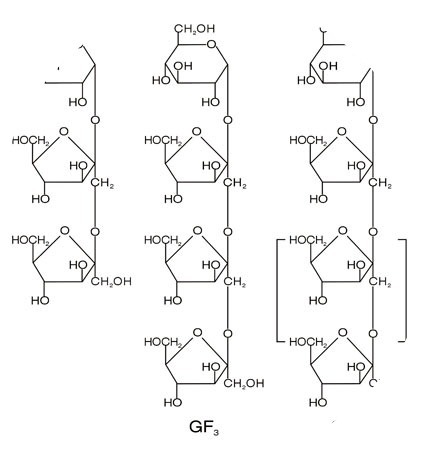 Guar gum is extracted from the seed of the leguminous shrub Cyamopsis tetragonoloba, where it acts as a food and water store. Guar gum is an economical thickener and stabilizer. 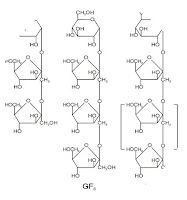 It hydrates fairly rapidly in cold water to give highly viscous pseudoplastic solutions of generally greater low-shear viscosity when compared with other hydrocolloids and much greater than that of locust bean gum. 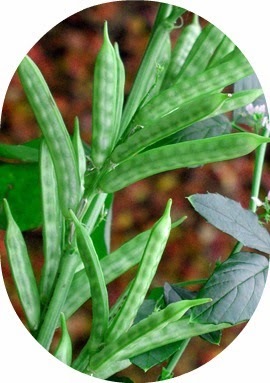 Guar Gum origin country is from India. Guar gum is a water-soluble fiber that acts as a bulk forming laxative, and as such, it is claimed to be effective in promoting regular bowel movements and relieve constipation. The increased mass in the intestines stimulates the movement of waste and toxins from the system, which is particularly helpful for good colon health, because it speeds the removal of waste and bacteria from the bowel and colon. It also helps your body to burn fat by converting it to energy. Stevia is a natural sweetener derived from the leaves of the tropical American plant Stevia rebaudiana. 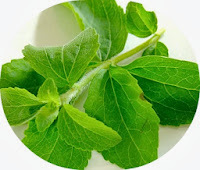 The leaves of this small, green Stevia rebaudiana plant have a delicious and refreshing taste that can be 30 times sweeter than sugar. It is a South American herb that has been used as a sweetener by the Guarani Indians of Paraguay for hundreds of years. The body does not metabolize the sweet glycosides from the stevia leaf or any of its processed forms, and hence there is no caloric intake. Stevia doesn't adversely affect blood glucose levels and may be used freely by diabetics. According to the United Nations Food and Agriculture Organization's Joint Expert Committee on Food Additives, stevia extracts are safe in daily doses of up to four milligrams per kilogram of body weights.